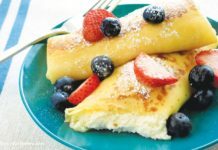 In a medium-sized mixing bowl, mix together flour, milk, yeast, and salt until stiff. Cut the butter into four pieces and mix them in one piece at a time, beating for a full minute between each addition and an additional three minutes after the last addition. The dough should look smooth and satiny. Place dough in an oiled bowl that gives it a little room to rise, cover in plastic wrap, and refrigerate for at least two hours or overnight. 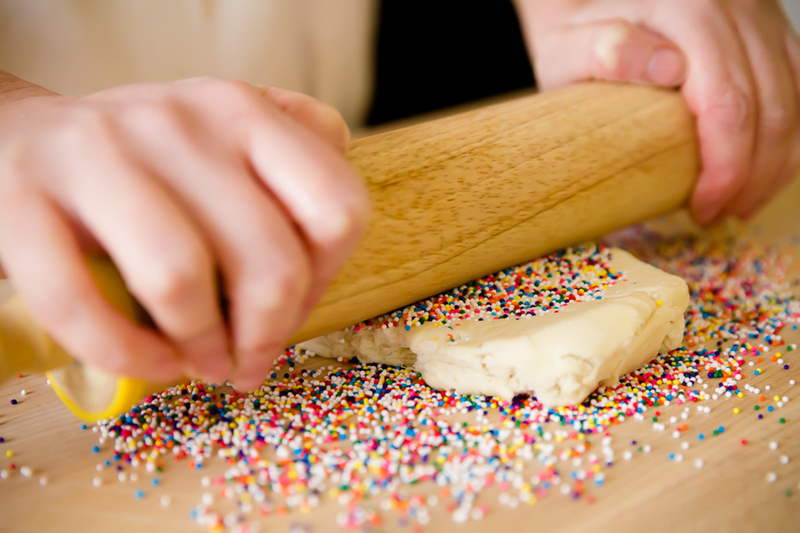 When ready to bake, preheat oven to 275 F.
Sprinkle a work surface liberally with rainbow nonpareils as you would flour. 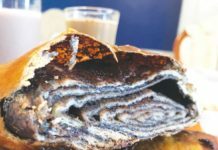 Divide dough in half and place one half on the nonpareils and the other half back in the refrigerator. Place some more rainbow nonpareils on top of the dough and roll the dough out to 1/8″ thick. Add more rainbow nonpareils to the top of the dough and also lift the dough and add more to the bottom as needed to fill spaces that don’t have many or simply to keep the dough from sticking. Use a pizza wheel or a knife to cut the dough into triangles. 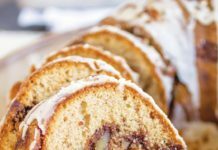 Roll sheets of aluminum foil into logs and place on cookie sheets. Spray foil with non-stick cooking spray. 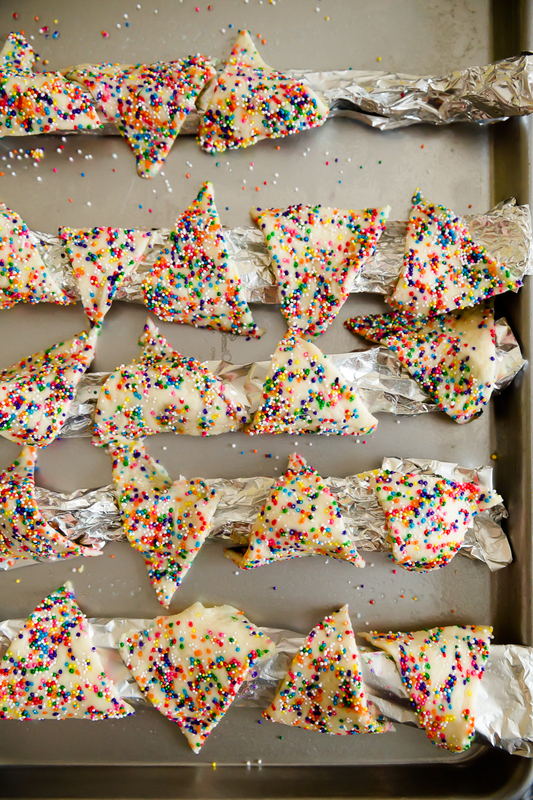 Drape dough triangles over foil logs.The dough doesn’t expand much in the oven, so the cookies can be very close together. Bake for 60 minutes or until the cookies have puffed up slightly and are a light brown color (these take a little longer to bake than Arnhem cookies because the cookies aren’t directly touching the cookie sheet). 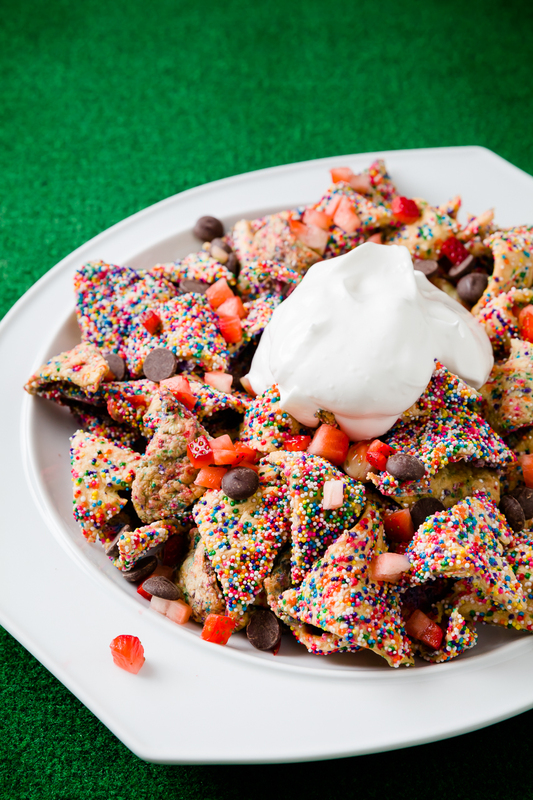 Serve Funfetti dessert nachos in a large bowl or plate with the fluff/frosting in the middle and strawberries and chocolate chips all around.